Thanks for dropping in. Today's a big day in preparing for the Blogging from A-Z Challenge. This is the day when we do a Theme Reveal, sharing what we'll be writing about during April. With over twenty books published, finding the right name for a character can sometimes be a challenge. 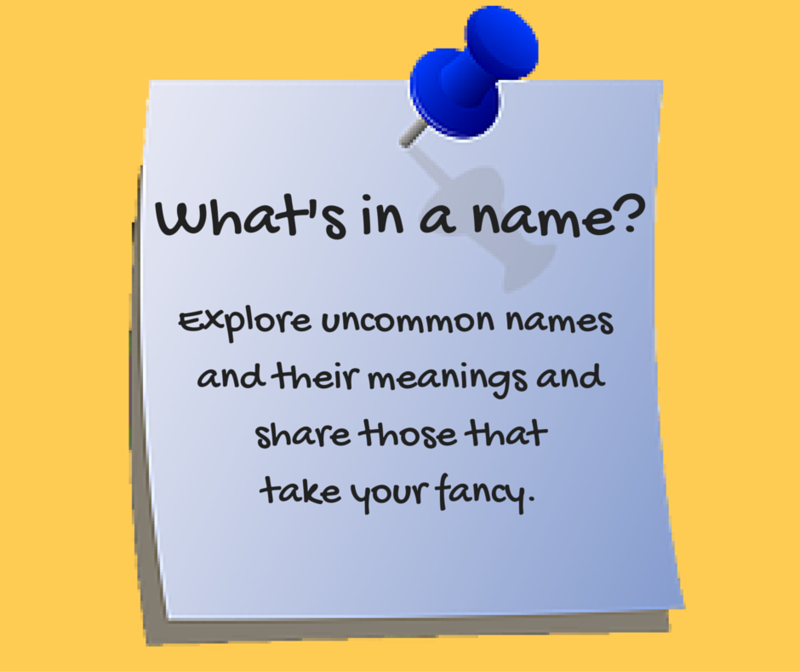 There are a gazillion choices, of course, but I like when the names I use relate to the characters in some way, so I'll be concentrating on gathering some uncommon names. I'll also be asking my visitors to help me out by sharing names they like and think are unique. The theme reveal listing is here, so hop around and have a look at the other blogs and see what they'll be sharing in April. Have fun! On another note, last week, my latest novella - The Vet's Secret Wish - was released in the Spring into Romance Boxed Set. 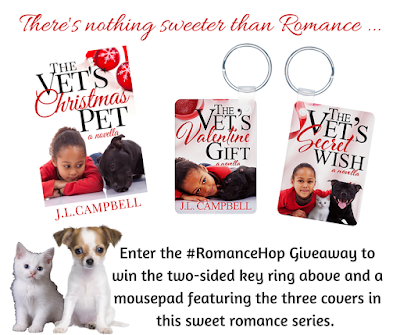 The authors did a #RomanceGiveaway Hop and my winner is Bethany Whitling. 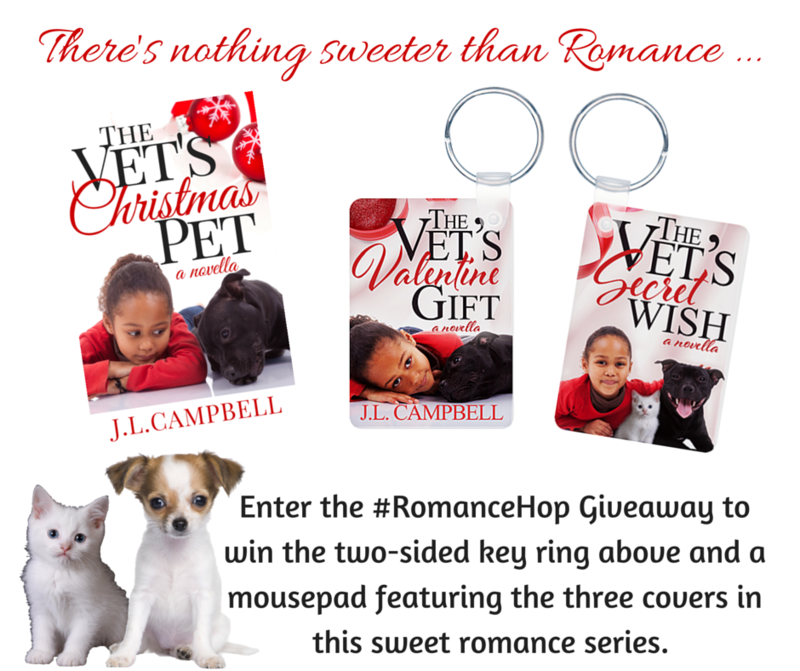 The prize is a key ring (see below) featuring two covers from my sweet romance series and a mouse pad with all three stories. Are you in the theme reveal? Preparing for the Challenge? If not, you can sign up for both at the links listed in this post. Cool theme. I love reading about names. Sounds interesting. I bet you'll have some unique names! Sounds like a really cute theme! In my work of medical transcription, I come across a lot of unusual names and unusual spellings of common names like Ashley or Amy or Megan. Character names are tricky. Mine usually come in a flash and then need to be changed for some reason or another during the writing process. Congrats on your latest publication! I love your theme and look forward to reading your posts during the challenge. Congrats on the latest novella! Names kind of make or break a character don't they? And long ones with complex pronunciation well, they can make readers just shut the book. Complicated business, choosing names. Someone is ready for April. Character's names are quite important. I love to know about names and knowing that can often help when deciding what to call a character. Look forward to your theme and congrats on the latest publication. Names! Very cool. You know mine will all have a fantasy or science fiction flair to them. As someone who spends more time naming her characters than her own children, I'm already boarding the train to your name game!! It has to be just the right name, too. As an author, I love naming my characters. I look forward to April and finding out more about the names you will have for each letter of the alphabet. Thanks ahead of time for all the hard work it takes to participate. Great theme. I find naming characters one of the hardest parts of writing so hopefully I will find some inspiration here! I'm not a writer but I would think that trying to think up names would be one of more difficult parts. I'm excitied about the A-Z Challenge so will be following your theme. Names are fun. I have a great time finding names for my characters as they come from so many place. Good luck with your theme! I can't seem to name a character and then let the personality unfold from the name. Somehow that just doesn't work for me. My characters in a story/FF piece are always Ms.X or Mr.Y at the beginning. I need to check out your theme! I had a comment from someone with a lovely name, and I was tempted to ask if I could use it. But then again, maybe I'll just steal it! Great theme, Joy. Have fun! Names are always so interesting - I look forward to seeing what ones you choose to highlight. Congrats for the release! I simply L.O.V.E your theme. I know how hard it can be to find the right name for a character (unless he comes whispering it to you). I'm looking forward to your posts! Thrilled to note your A to Z theme. Can't wait to join in the 'naming' fun! Have a great weekend. Character names are sooo hard to choose. I keep a baby name book and phone directory to help, but sometimes choosing the name is more involved than that. I'm really looking forward to your posts. Congratulations, Bethany. Looking forward to your A-Z theme, Joy. Bet the research was interesting. Lol...you got a great theme here..